We are happy to announce a new member of the BitNami family: Tiny Tiny RSS. Tiny Tiny RSS is an open source web-based news feed (RSS/Atom) reader and aggregator, designed to allow you to read news from any location, while feeling as close to a real desktop application as possible. Thanks to the community votes, Tiny Tiny RSS was the winner of our latest bi-weekly contest, and we just added it to our BitNami Library. You can now download free, ready to run native installers for Windows, OS X and Linux, virtual machines and Amazon EC2 images. All of them include Tiny Tiny RSS pre-configured with all of its required dependencies, including web server, database, etc. As you probably know, Google Reader will be stopping its service in less than one month, on July 1st. 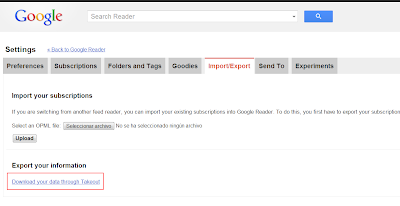 The rest of this post shows you how easy it is to migrate your RSS feed at Google Reader to a new BitNami Tiny Tiny RSS instance in the cloud. 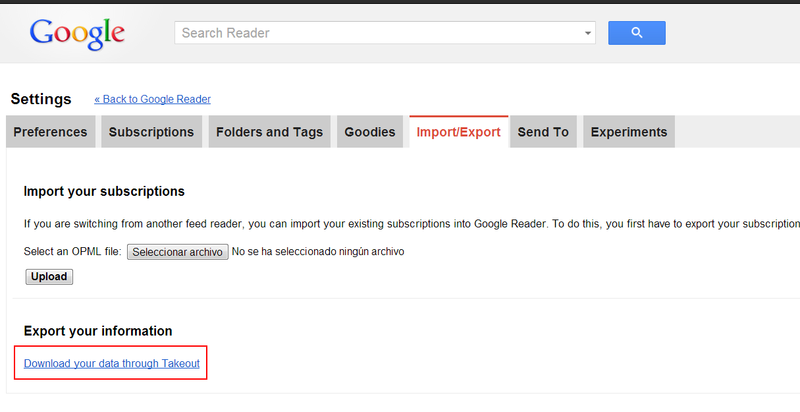 - Go to Google Reader. Navigate to Settings -> Import/Export -> Export your information and press on "Download your data through Takeout". - On Google Takeout, press on the red button named "Create archive". A ZIP file will be downloaded to your computer. Extract it. - Go to your BitNami Tiny Tiny RSS AMI, log in with user/bitnami as user/password. Go to Actions... -> Preferences... -> Feeds -> OMPL and press on "Choose file". Then, select the subscriptions.xml file inside the content of the ZIP file downloaded from Google Takeout and click on "Import my OPML". You did it! Now you have started your own alternative to Google Reader on the cloud thanks to BitNami and Tiny Tiny RSS. If you combine it with the AWS free tier and the free developer plan at BitNami Cloud Hosting you can have your own, private RSS reader, completely for free. Best of all, you have complete control over the server, so you do not depend on Google randomly the plug on the service. We are glad Tiny Tiny RSS is now part of BitNami. Would you like your favorite app to be part of BitNami? Be sure to suggest and vote for it in our contest!